You are here: Home 2013 May How to Connect to a Cisco Standard Console Port (RJ-45)? Step1. Connect laptop serial port to Cisco device’s console port. Below are two examples. 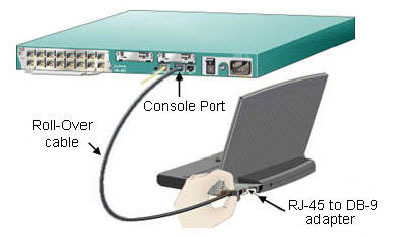 Figure1a shows laptop with DB-9 serial port connected to Cisco device console port. Connect the RJ-45 to DB-9 adapter (74-0495-01) into the laptop serial port. Connect the RJ-45 roll-over cable (black or light blue) into the RJ-45 to DB-9 adapter (74-0495-01). Connect the other end of the RJ-45 Roll-Over cable into Cisco device’s console port. Figure1b shows Laptop with USB port connected to Cisco device console port. Connect the USB to serial adapter into the laptop USB port. 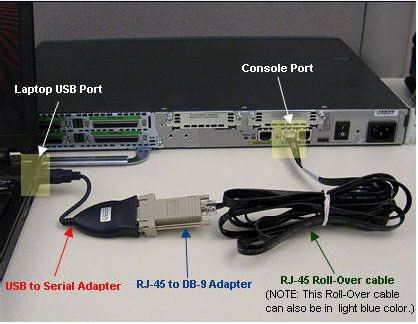 Connect the RJ-45 to DB-9 adapter (74-0495-01) to the USB to serial adapter. Connect the the RJ-45 roll-over cable (black or light blue) into the RJ-45 to DB-9 adapter (74-0495-01). Connect the other end of the RJ-45 Roll-Over cable into the Cisco device’s console port. Step2. Open the terminal emulator program being used to access the device. This example uses HyperTerminal. Step3. Create a new Connection. 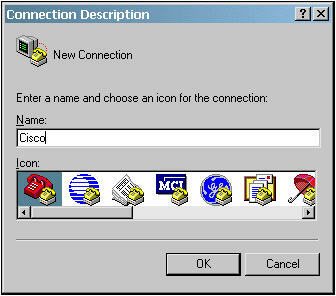 On the Connection Description dialog, enter a name, select an icon and click OK (Figure 2). Step4. 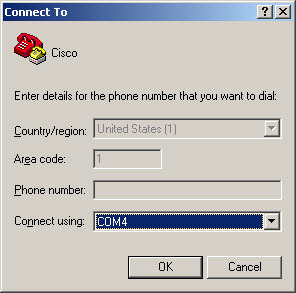 The Connect To dialog box opens (Figure 3). 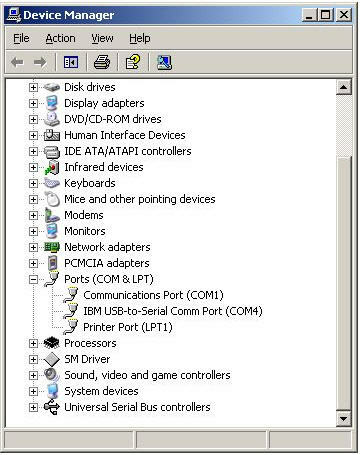 Select the correct COM port being used to connect and click OK. Note: When using a USB-to-serial adapter, use Device Manager to verify which COM port it is using as shown in Figure 4. Step5. The COMx Properties dialog appears as shown in Figure 5. Step6. Communication to the device should be established. Test for a response by using the Enter key. How to Wire an RJ-45 Console Cable?